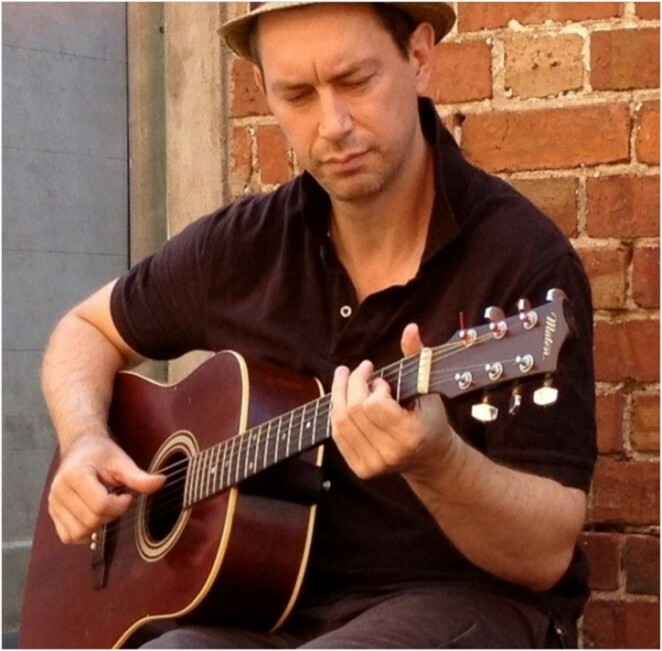 John Francis Carroll is a talented instrumental acoustic guitarist and composer. He has delighted audiences playing his own unique versions of classic hits from artists such as Fleetwood Mac, as well as impressing many with his Celtic/Irish folk performances. John took time out for a Q&A with Australian Musician. The first one I bought with my own money was a Maton M320 Natural Series in 1989, that was the cheapest entry level Maton at the time. That very same guitar! Maton M320 Natural Series, last year I had a LR Baggs pickup installed, it sounds great. Roland Mobile Cube, for busking and I just have it mic’d up for gigs. The acoustic sounds great and feels and sounds natural through it, my sound checks take about 2 minutes. Only use Boss TU-2 Chromatic Tuner, I use alot of different open tunings, it allows me to cut the sound off when I tune up and down. I wouldn’t say I’m an expert at them, but on my albums I use harmonium, keyboard, mandolin and bodhran. It’s an Irish/Celtic album called ‘Salmon Tails Up the Water’, which has my arrangements of some traditional tunes, originals and tips of the hat to Zeppelin, Paul McCartney and Gary Moore. I finish the next one soon at the end of this September. I just finished a month long promotion playing outside a Zambrero Mexican Restaurant (I can play traditional Spanish guitar) I wore a poncho and sombrero and it was very successful campaign and a lot of fun! In January this year at the Cygnet Folk Festival in Tasmania. In the Supper Room of the old town hall, best audience, perfect gig. I didn’t want it to end! Going back to my first solo acoustic gigs, being so nervous I couldn’t fingerpick the strings properly – I just wanted to die! James Blackshaw ‘Litany of Echoes’ (2008). I’d always wanted to be an acoustic instrumentalist, but the mastery of Leo Kottke & Tommy Emmanuel just scared me off. Then I heard this cool young bloke from the UK just doing his own thing, I decided to step out with the same attitude. Making my own albums, I’m making the 4th at the moment, and I collaborate with artist Alana Di Giacomo, who’s now based in Perth, she does all the artwork and design, I love that whole creative process. 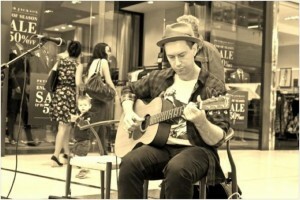 I have a fortnightly residency at Westfield Southland shopping centre in Melbourne until the end of the year, as well as busking at the Queen Victoria Market. To have a “Penguin Cafe Orchestra” type outfit and play around the world. Never stop learning and practise making your own music.